While we're all about flip-flopping this summer, sometimes we just don't have time to grab a pedicure worthy of an open-toed shoe. That's why we're kind of obsessed with the ultimate (and budget-friendly) collaboration between an R29 favorite, Opening Ceremony, and the über-cool, cute, and comfy Soludos. OC transforms the already adorbs Soludos espadrille into dream flats for the street or the sea in pretty prints, cool stripes, and sweet polka dots. In true OC fashion, no detail is left behind. Even the fabrics are super-unique and range from raffia weaves, neon seersucker, and perforated leather — perfect for that new bikini or that Chloë Sevigny dress you've been obsessing over all season long. 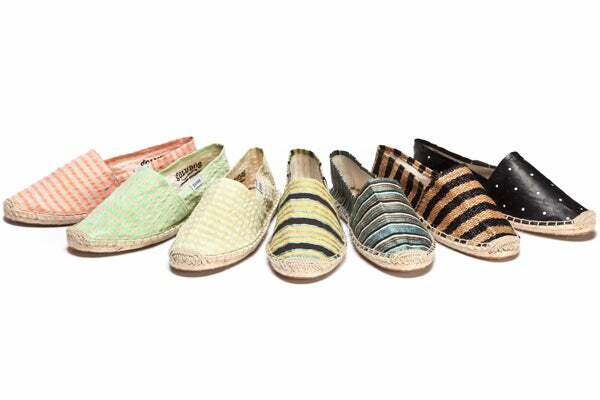 At $35 to $45 per 'drille, there's no excuse not to add one (or all) to your summer rotation. Shop the full collection in Opening Cermony stores or online now.